Q: What do retired teachers like to do? A: Raise money to give scholarships to future educators? 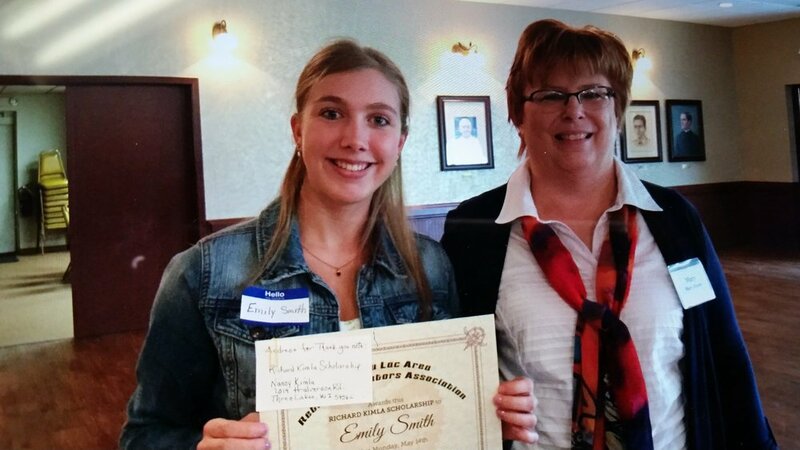 Monday, May 14, Emily Smith, a soon to be WAHS 2018 graduate attended the Fond du Lac Area Retired Educators Association luncheon meeting where she was one of several to receive a scholarship to help her become a teacher. Emily will be attending UW-Stevens Point in the fall. Connor Clark, WAHS 2018 graduate, also will be getting a scholarship from the Fond du Lac Area Retired Educators Association. Connor wrote a very nice letter thanking the group for his scholarship. He explained he would have liked to have been there but due to the weather, but did not want to miss a sporting event he was in later that day. WASD juniors plan now for applying for these scholarships. WASD graduates in education, you too are eligible during your college years to reapply.